the Technical Certificate Course Examination in Lower and Higher Grades in Drawing and Tailoring & Embroidery will be held in the month of January, 2019 at the identified centres in all the (31) Districts of Telangana State. 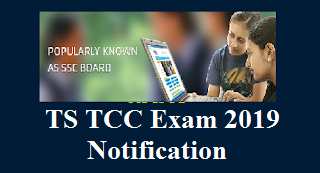 The candidates who have passed VII Class Examination are eligible to appear for Lower Grade Examination in the above Trades and those who have passed Lower Grade Technical Examination (or) equivalent to lower grade exam are eligible to appear Higher Grade Examination in the concerned Trade. The candidates desiring to appear for these examinations should apply through ONLINE in our website i.e., www.bsetelangana.org and submit their down loaded web application forms at concerned District Educational Officer.